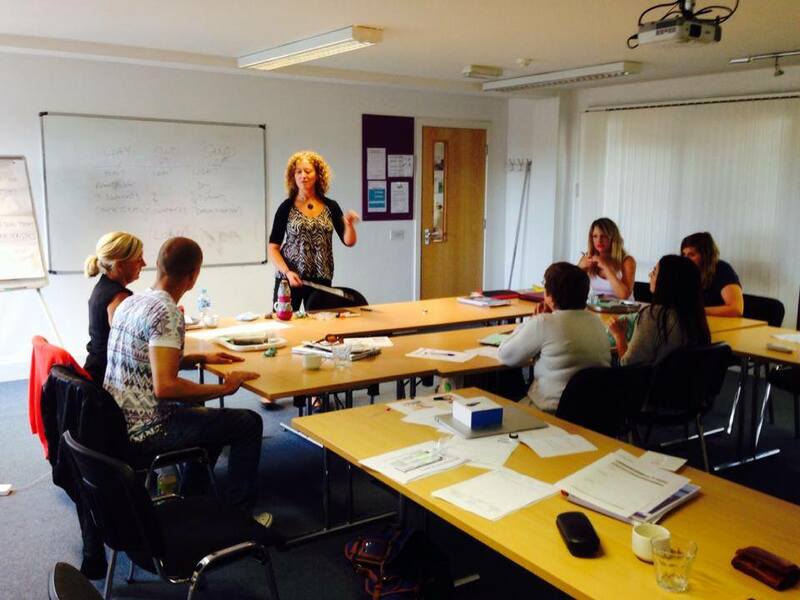 The Level 5 Diploma in Education and Training course replaces the old DTLLS course. The qualification is for those that are looking to gain full teacher status in the post 16 sector. It is a reflective practice course where learners investigate the skills and attributes required in teaching and evaluate their own teaching styles. The Level 5 Diploma in Education and Training is taught over a six month period and involves fourteen classroom days in total. The classroom days are every two weeks, ensuring learners are supported all the way through the course. In addition to the classroom days learners are required to log 100 hours of teaching, which includes six assessed observations. The assessment is a holistic approach with learners providing evidence with a combination of written answers, teaching logs, observations and current practice resources. Successful completion of the Level 5 Diploma in Education and Training allows the learner to apply for Qualified Teacher Learning and Skills (QTLS) in the post 16 sector. The course is nationally accredited (RQF) and Ofqual regulated, gaining you an internationally recognised teaching qualification. The qualification opens doors within further education colleges and enables learners to apply for teaching positions with the confidence they are already qualified and experienced teachers. The Level 5 Diploma in Education and Training is for anyone looking to gain a full teaching qualification in the post 16 sector. It is not subject specific and not subject specific, meaning the course attracts learners from a diverse range of backgrounds and experiences. The course is a natural progression for those learners that have already achieved levels 3 or 4, but learners with the required experience can also enrol straight on to the level 5 programme. The Level 5 Diploma in Education and Training covers all components required to become an effective adult teacher. Core units investigate meeting individual needs, planning and designing, delivery, assessment and evaluation. Learners are required to become reflective practitioners, assessing both their learners and their own teaching techniques. It is an excellent course for personal development and allows learners to develop their skills throughout.